Process choreographies are part of daily business. While the correct ordering of exchanged messages can be modeled and enacted with current choreography techniques, no approach exists to describe and automate the exchange of data between processes in a choreography using messages. 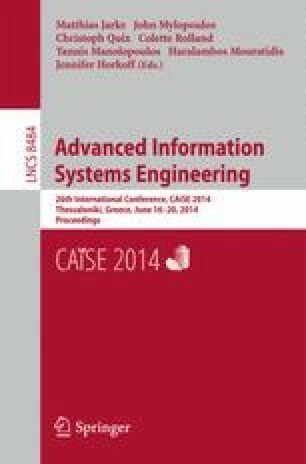 This paper describes an entirely model-driven approach for BPMN introducing a few concepts that suffice to model data retrieval, data transformation, message exchange, and correlation – four aspects of data exchange. For automation, this work utilizes a recent concept to enact data dependencies in internal processes. We present a modeling guideline to derive local process models from a given choreography; their operational semantics allows to correctly enact the entire choreography from the derived models only including the exchange of data. We implemented our approach by extending the camunda BPM platform with our approach and show its feasibility by realizing all service interaction patterns using only model-based concepts.